We're proud to offer a variety of dental services. In addition to general dentistry, Dr. Perry Goldberg has specialized training in prosthodontics (also known as advanced restorative care). The mouth is highly complex and each patient is unique. With advanced training and decades of successfully treating thousands of patients, Dr. Goldberg is highly skilled in transforming nearly any smile into a dream smile. After a consultation to understand your goals, we will discuss the treatment options that will help you reach them. Whether you're looking to achieve your own dream smile, improve your oral health, or maintain the wonderful smile you already have, we invite you to make an appointment with us at Midtown Park Dental Group. 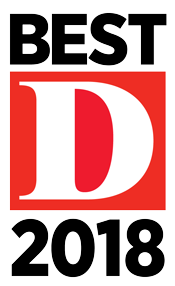 Dr. Goldberg has been named ten times as a Best Dentist in Dallas by D Magazine. To make your check in quick and easy, please complete the form below and bring it with you to your appointment. If you're unable to complete the form before your visit, please arrive 15 minutes early to your appointment to complete it at our office.